Welcome to the Relief Texture Mapping Web Site! 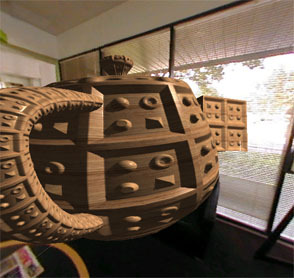 Relief Texture Mapping is a technique that supports the representation of 3-D surface detail, producing self-occlusion, self-shadowing, view-motion parallax, and silhouettes. 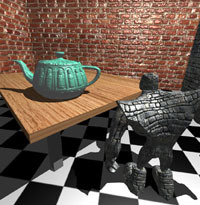 This technique produces correct views of 3-D surfaces and scenes by augmenting textures with per texel depth. The details are described in a series of documents, including papers, my Ph.D. dissertation, technical reports, demos with source code, and videos. 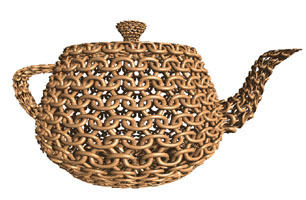 Check them out and welcome to the Relief Texture Mapping World! Oliveira, Manuel M., Gary Bishop, David McAllister. Relief Texture Mapping. Proceedings of SIGGRAPH 2000 (New Orleans, La), July 23-28, 2000, pp.359-368. Oliveira, Manuel M. Relief Texture Mapping.Ph.D. Dissertation. UNC Computer Science Technichal Report TR00-009, University of North Carolina, March 3, 2000. Fabio Policarpo and Manuel M. Oliveira. Relief Mapping of Non-Height-Field Surface Details. ACM SIGGRAPH 2006 Symposium on Interactive 3D Graphics and Games, Redwood City, CA, March 14-17, 2006, pp. 55-62. Fabio Policarpo, Manuel M. Oliveira, João Comba. Real-Time Relief Mapping on Arbitrary Polygonal Surfaces. ACM SIGGRAPH 2005 Symposium on Interactive 3D Graphics and Games, Washington, DC, April 3-6, 2005, pp. 155-162. Requires nVidia GeForceFX (preferable GeForce 6800 or better) and nVidia Cg 1.3 installed. Download a copy of our Technical Report describing how to render Relief Maps with Silhouttes. 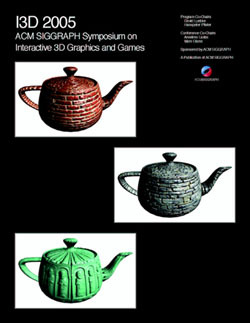 Most of this material was included in the recent book Advanced Game Development with Programmable Graphics Hardware, by Alan Watt and Fabio Policarpo (AK Peters, August 2005). Manuel M. Oliveira, Fabio Policarpo. An Efficient Representation for Surface Details. UFRGS Technical Report RP-351, January 26, 2005. Fabio Policarpo and Manuel M. Oliveira. Relaxed Cone Stepping for Relief Mapping. Chapter 18. In: Hubert Nguyen (ed.) 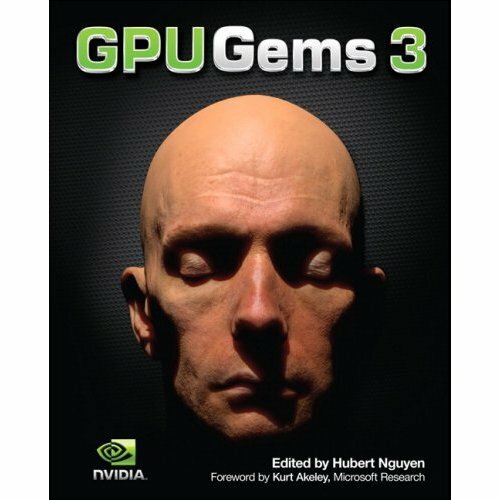 GPU Gems 3. Addison-Wesley Professional, 2007, (ISBN 978-0321515261), pp. 409-428. Fabio Policarpo and Manuel M. Oliveira. 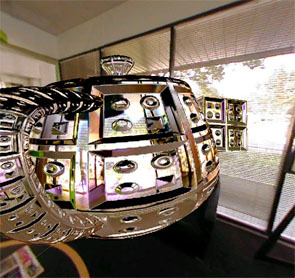 Advanced Mapping Techniques and Ray Tracing on the GPU. Chapter 5. In: Advanced Game Development with Programmable Graphics Hardware, by Alan Watt and Fabio Policarpo. ISBN 1-56881-240-X. A K Peters, Wellesley, Massachusetts, pp. 119-172, 2005. The co-authorship of Chapter 5 (omitted in the first printing) is acknowledged in the publisher's web sitte for the book. Fabio Policarpo, Manuel M. Oliveira, João Comba. Real-Time Relief Mapping on Arbitrary Polygonal Surfaces. ACM Transactions on Graphics. Volume 24, Number 3, pp. 935, July 2005. Fabio Policarpo and Manuel M. Oliveira. Rendering Surface Details in Games with Relief Mapping Using a Minimally Invasive Approach. In:Wolfgang Engel (ed.). 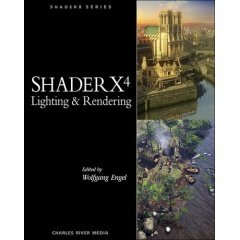 SHADER X4: Lighting & Rendering. Charles River Media, Inc., Hingham, Massachusetts, 2006 (ISBN 1-58450-425-0), pp. 109-119. DOOM 3TM uses a normal mapping shader over all game geometry. We processed all normal maps of the game to generate the appropriate depth maps, which are stored in the specular maps alpha channel (as normal maps are compressed and can not have alpha modified). 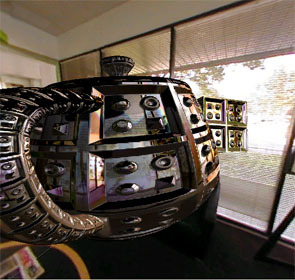 Download the modified shaders and the tool to convert the normal maps to depth maps. 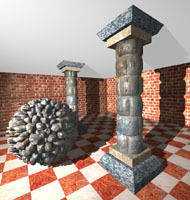 The tool for creating depth maps from normal maps is based on a Poisson Multigrid Solver written by Carlos E. Scheidegger and Gustavo S. Neto. Check nVidia's CineFX 4.0 Technichal Brief, with a section about Relief Mapping. 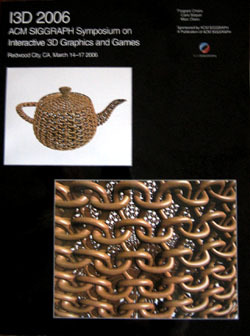 Raising Textures to New Heights: An innovative technique adds depth to conventional texture maps, by Diana Phillips Mahoney, Computer Graphics World, Volume 24, Number 7, July 2001, pages 15-16.